Everyone aspires to own a home of their own one day and of course the dream home has to have all the very best of everything inside it to fulfill a lifelong dream of expectations. And when that home is based in the culturally-rich city of Thrissur in Kerala, you are definitely on the right track. Thrissur is considered to be the cultural capital of Kerala with a history that goes a long way back to the time of ancient trading, when Kerala was a major trading hub with other countries including the Arab nations, ancient Mesopotamia and China to name a few. Along with the foreign ships came the cuisines, cultures and religions of other nations that have left their indelible mark on this cultural center. Thrissur is believed to house India’s first mosque built in 629 AD. It is also believed that St. Thomas, one of the 12 disciples of Jesus Christ, first set foot on Indian soil in Muziris, located very close to Thrissur. Other than this, the famous Guruvayur temple is also located here, making Thrissur a historical, spiritual and religious hotspot, besides being a booming business center. And if you are really interested in setting roots in such a great city, then look no further than ‘The Gateway’, a foremost luxury apartment complex by the prestigious Artech Realtors who have more than 65 such projects under their belt and a history that goes back more than two decades. 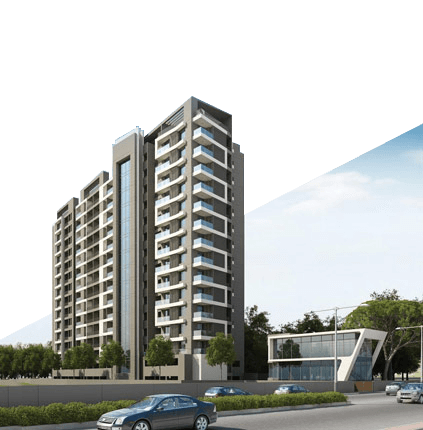 Located centrally, this apartment complex offers luxurious 3 BHK apartments. Here, you will find customized homes with stylish modular kitchens, branded sanitary wares, laminated wooden floorings, elegant teakwood doors, ductable air-conditioning system with split ACs for the bedrooms, generator back-up for each apartment, to name a few of the amazing features on offer. The amenities available will take your breath away at their sheer luxury – don’t miss out on these flats!